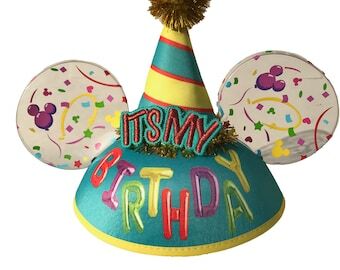 Authentic Mickey Mouse ear hats, direct from the Disney theme parks and personalized in a stylized theme park marquee font. This new take on the traditional hat writing lets you create a hat that is uniquely yours. 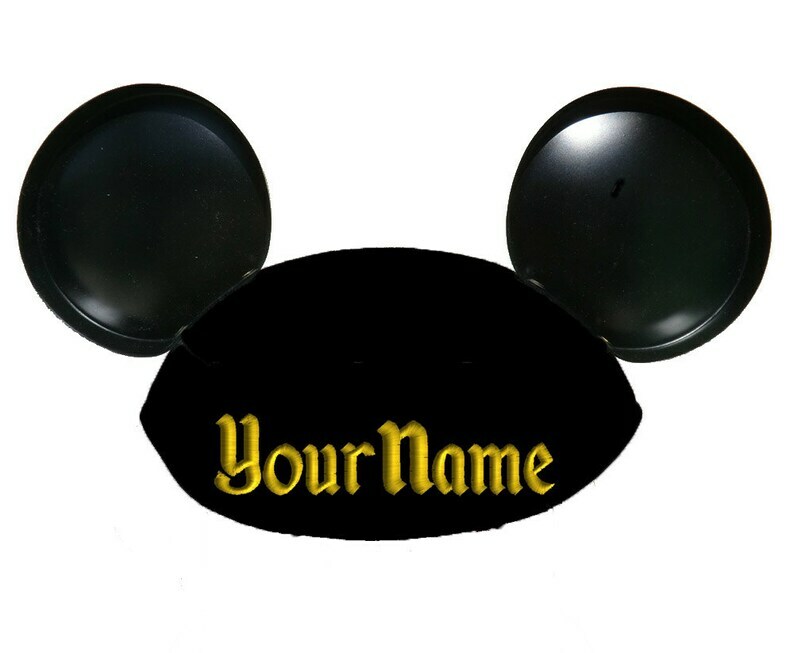 This Ear Hat is personalized on the back with a name or phrase of your choosing, using our own in-house embroidery machines. For best results with this special font, we recommend that you limit personalization to 10 characters and spaces. For very short names (under 5 letters), we use the larger version of this font, as seen on the "Lucas" sample. For longer names, we use the smaller version of this font. Please leave all personalization information in the "note to seller" box at the time of checkout. If you are ordering more that one personalized item, please be very specific in your instructions. If you have a mix of long and short names, please let us know if you want all names in the smaller font for consistency, or if you'd like us to use the larger font where possible. We offer six standard thread colors for ear hats: Hot Pink, White, Yellow, Red or Royal Blue thread looks best on this Ear Hat. For extra fun, choose Glow-in-the-Dark thread, which appears white in the daylight, but lights up under black light! This design is shown personalized in Yellow Gold. We are happy to try to match other colors upon request. Please request a custom order if you prefer thread colors not shown here. Toddler Ear Hats also have a smaller plastic ear than the Youth and Adult size, so they appear more in proportion to the felt hat. The "Lucas" sample is sewn on an Toddler ear hat. Awesome quality! Son loves it! Thank You!